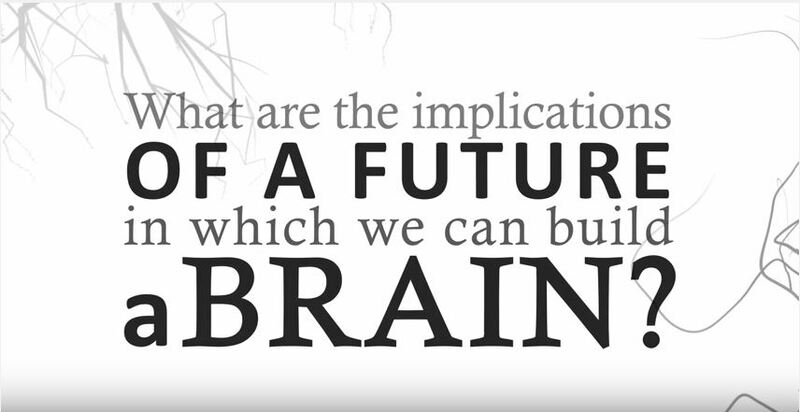 This is a series of videos by Dr. Ken Hayworth on philosophical and technological aspects of future in which we can build a brain. There are different approaches to deal with this problem, in which we can build a brain and preserve our memories and consciousness. Dr. Ken Hayworth is a PhD Neuroscientist, President of Brain Preservation Foundation and Senior scientist at Howard Hughes Medical Institute’s Janelia Farm Research Campus in Virginia. He has been a postdoctoral researcher at Harvard University and received his PhD in Neuroscience at The University of Southern California. For more details, visit the website listed above. He has given talk Global Future: 2045 conference Towards a new strategy for Human Evolution organized in June 2013 along with eminent and pioneer researchers- Ray Kurzweil, Dr. Peter H. Diamindis and Dmitry Itskov. His main goal is to upload a human mind into computer by 2050. He discusses about his work in his recent research paper- Electron Imaging Technology for Whole Brain Neural Circuit Mapping. This is a complicated topic, but Dr. Ken has described his research approach in the movie in 3 parts: Part 1- Will you preserve your brain, Part 2- Will you upload your mind, Part 3- If we can build a brain, what is the future of it? Part 3 of the movie has been shown with this article below. 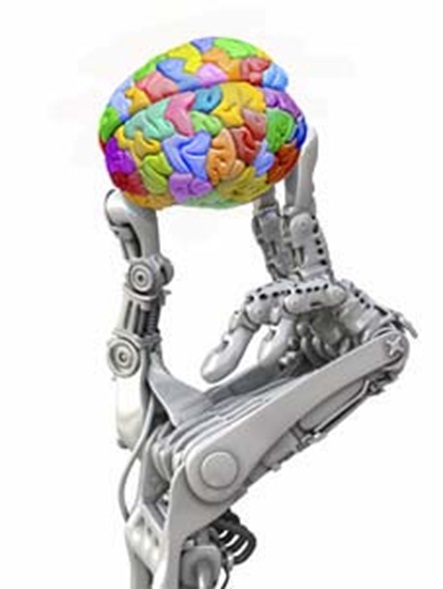 The model says that brain’s information is mainly digital in nature and is stored in Connectome. He believes that with current technology, we can extract this information stored in Connectome. This study will open up new ventures for mind uploading science. Popular media often tends to present a larger than life picture of the brain and tends to mystify the subject by use of excessive hyperbole. The complexity of the brain is used as a bad excuse to justify this mystification. A complex real-world system may look intimidating and incomprehensible only in its details, but could be simple and tractable in its organizational principles. Developments in computational neuroscience over the last three decades have unraveled several fundamental organizational principles of the brain. Illumined by these fundamental principles the immense complexity of the brain seems more comprehensible, less staggering. There is a need for a book that introduces this new view of the brain in terms of its information processing principles, in a manner accessible to the general reader. This book aims to present the new view of the brain to a reader who is equipped with a general knowledge of science at a level that is a little above high school. Although the brain’s information processing principles are expressed in the language of mathematics, care is taken to use minimal mathematics in this book. The book is organized as follows. The first chapter in the book, as it presents a brief history of ideas about brain, also introduces some of the key ideas and concepts related to the brain. The second chapter sets out to understand the logic of brain’s anatomy. It takes the reader on a quick journey through the evolutionary stages in the brain and seeks to explain some of the broad stages in that development using the minimum wire principle. The third chapter is an introduction to the neuron and mechanisms of the neuron’s electrical and chemical signaling. The fourth chapter takes up the neuron model just introduced and presents a simple mathematical model of the same. Using this neuronal model the fourth chapter shows how to construct complex networks that can explain a variety of phenomena from psychology. The fifth chapter narrates the story of memory. It begins with Lashley’s search for the engram. Passing by Pribram’s attempts to link holograms and memories, it presents Hopfield’s neural network model as a plausible model of memories in the brain. It then applies the Hopfield network concepts to explain the memory retrieval and storage operations in the hippocampus. The sixth chapter is about brain maps, this unique feature of brain’s design wherein information is laid out in the form of two-dimensional maps. The seventh chapter presents a history of theories of emotions and introduces some of the key neurobiological substrates of emotion processing. The eighth chapter on language deals with the essential language circuits in the brain and describes how words are represented and produced. It does not discuss more advanced aspects of sentence level processing. The last chapter takes up the conundrum of consciousness from neuroscience perspective. After briefly touching upon several philosophical approaches to the problem, it presents some elegant experimental approaches to this intriguing question, concluding with an outline of some of the contemporary neuroscientific theories of consciousness. 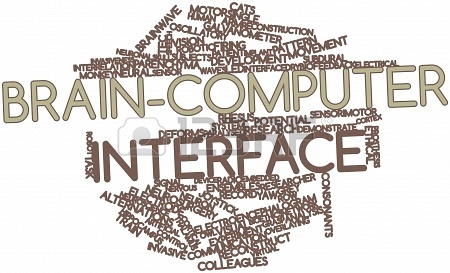 BCI, or what is commonly known as Brain-Computer Interface is an emerging group of technologies which can also be presented as brain-machine interfaces (BMI), or mind-machine interfaces (MMI). In the recently published book of research, Introduction to Neural Engineering for Motor Rehabilitation (2013) by Dario Farina, Winnie Jensen and Metin Akay, the summary on the chapter covering BCI’s provides an excellent definition of BCI’s and the current applications they are being used in. “A BCI monitors the user’s brain activity, extracts specific features from the brain signals that reflect the intent of the subject, and translates them into action. BCI Technology offers a natural way to augment human capabilities by providing a new interaction link with the outside world and, thus it is particularly relevant as an aid for patients with severe neuromuscular disabilities.” (Millan, p. 237). A BCI used on a patient may monitor quite a few different signals which can include, electrical, magnetic and metabolic. It is important for those studying the effectiveness of BCI’s to have the varying levels of these signals available at all times. Magnetic fields within the brain can be recorded with (MEG), or what is also known as magnetoencephalography while brain metabolic activity, which are measured by changes in blood flow to the brain can be witnessed with positron emission tomography (PET), functional magnetic resonance imaging (fMRI) and near-infared spectroscopy (NIRS). (Millan, p., 239). However, electrical brain activity can be measured more accurately and using both invasive and non-invasive procedures. The notion of brain-computer interaction did not become a full-fledged research focus and the object of grants until 1973 at UCLA. That research headed by Jacques J. Vidal and pursued by DARPA, ushered in a new era of technology for humans: linking human brains with the interfaces and operating systems of computers. “For example, it could help paraplegic patients to control assistive devices, or it could help factory workers perform advanced manufacturing tasks”. The device begins to learn your synapse patterns within a few days and can complete simple tasks, such as demonstrated by the graduate student in the video from the link above. BCI technologies also have the potential to remove repetitious and tedious tasks, while we control a robot through BCI to complete that task for us, the future of multitasking! “The devices can also leverage the worker’s decision-making skills, such as identifying a faulty part in an automated assembly line, while also improving workers safety and productivity.” It is just a matter of time until BCI technologies become widely available especially with the converging sciences of nanotechnology, biotechnology, cognitive science, information technology and synthetic biology. Currently, with BCI, the feedback to the software of the computer is the only direction in which the input goes. The next stage of research the rest of this decade will be focusing on is getting feedback to go both directions. For example, say you think of an action for the robot to complete and when you visually see it happen, the movement is not as smooth as you would’ve liked. In near-future BCI the robot, or artificial intelligence will help direct you to think in a manner to get the exact moment you are seeking and the speed of which it can learn complex actions and behaviors will decrease. Essentially, it will aid in manifesting your subconscious. Multi-tasking indeed! The more our brains get intertwined with computers the more ‘uploaded’ we essentially are. This leads to the next article. The brain is an organ that serves as the center of the nervous system in all vertebrate and most invertebrate animals—only a few invertebrates such as sponges, jellyfish, adult sea squirts and starfish do not have one, even if diffuse neural tissue is present. It is located in the head, usually close to the primary sensory organs for such senses as vision, hearing, balance, taste, and smell. The brain is the most complex organ in a vertebrate’s body. In a typical human the cerebral cortex (the largest part) is estimated to contain 15–33 billion neurons, each connected by synapses to several thousand other neurons. These neurons communicate with one another by means of long protoplasmic fibers called axons, which carry trains of signal pulses called action potentials to distant parts of the brain or body targeting specific recipient cells. The Open Colleges come up with a 3D interactive brain map exhibit with clickable detail bubbles. So let’s explore 100,000 miles of Blood Vessels in Brain which is almost equal to distance around equator.